EVBox is the global leading manufacturer of electric vehicle charging stations and charging management software. With an installed base of over 50,000 charging points across more than 960 cities worldwide, EVBox drives sustainable mobility by bringing the leading electric vehicle charging solutions to the world. Just like the automobile replaced the horse and carriage, so will electric vehicles replace combustion-based automobiles. A charging point at every parking spot, an Electric Vehicle for every home. As an Embedded Firmware Intern, you’ll be part of our Firmware Development team working on multiple electronics projects. You will work on the overall product development strategy for embedded systems and report to our Senior Development Engineer - Embedded Systems. Do you see yourself as truly passionate about the EV industry? Do you show affinity with renewable technologies and products? Then we might be looking for you! Our growth and success are driven by the passion and dedication of everyone here in the EVBox family. EV-Box is the global market leader in Electric Vehicle (EV) charging infrastructure and related cloud-based services, with an installed base of over 50,000 charging points around the world. The mission of our tech team is to build the platform that manages every single charging station in the world, by defining and adhering to open standards, mixing cloud native design with microservices run on the Kubernetes managed clusters. We have been profitable since it's foundation in 2010, the market of EV is rising and we're growing rapidly! Come and fuel hardware innovation, software development and support our international rollout. It's our mission to accelerate sustainable mobility with safe, smart and connected EV charging everywhere you go. 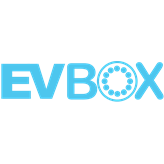 Want to get notified about new jobs at EVBox ?